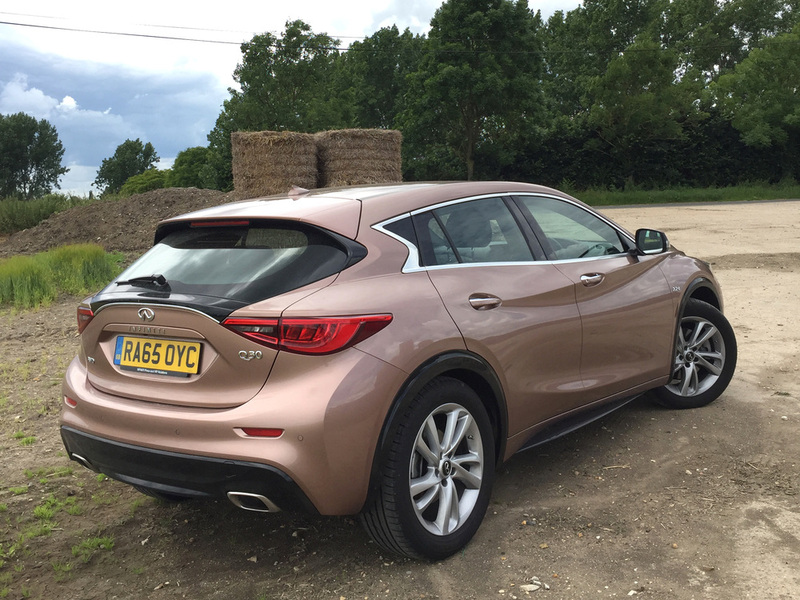 Massimo Pini drives Infiniti's first ever compact car, the British-built Q30. Having spent - or some might say squandered - shed loads of cash sponsoring a Formula 1 team to build brand awareness, premium manufacturer Infiniti is now trying a different approach, by building a smaller car that could really drive volume sales. 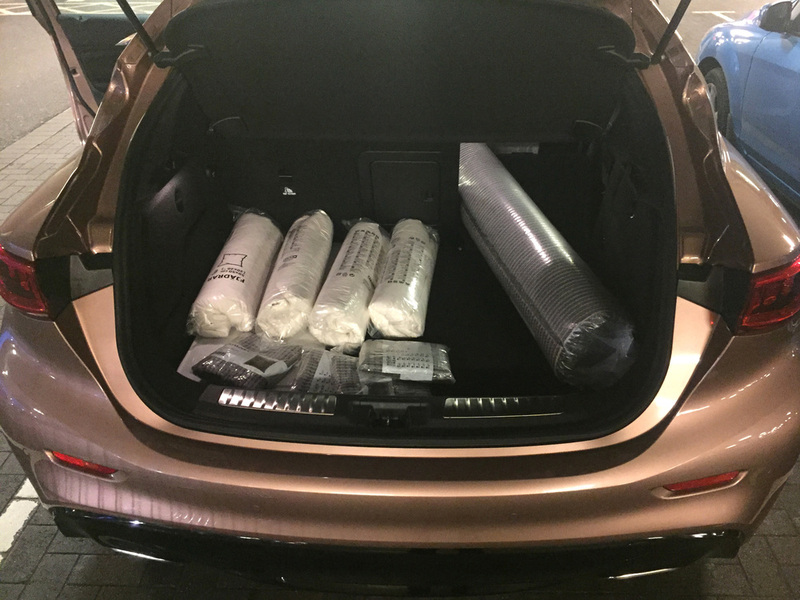 It’s called the Q30. If you're wondering what an Infiniti is, (well, that kind of proves the ‘squandered’ point) it’s a kind of fancy, upmarket Nissan – as Lexus is to Toyota or Audi is to Volkswagen. It's a relatively new brand to the UK, but has been around in other markets since 1989, so you could hardly think of it as a 'Johnny come lately'. The problem with the F1 sponsorship deal was that customers failed to really make the connection between the highly successful Grand Prix cars and the stylish SUVs and saloons sat in the Infiniti showrooms (they bore absolutely no resemblance so why would they?) so UK sales never really got going. But now, with its first-ever compact car - Infiniti is looking to connect with a whole new audience, going head to head with key German rivals like the Audi A3 and BMW 1 Series. 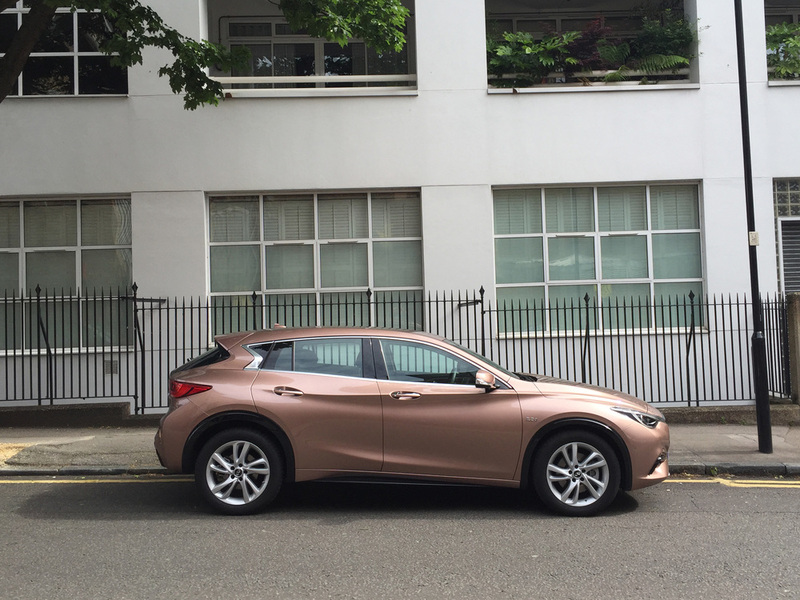 Infiniti describes the Q30 as an 'active compact', and that translates into an almost SUV-like ground clearance married to a sleeker body. I think the bold exterior design is a thing of beauty, and a breath of fresh air when lined up alongside the competition. The overall height is similar to regular compact hatchbacks, but its high-riding stance (the platform is borrowed from the Mercedes GLA) adds a ‘go-anywhere’ versatility that gives you extra confidence when the weather turns nasty or you decide to indulge in a spot of mild off-roading – especially if you go for the four-wheel drive version we have here. There’s a choice of one petrol and two diesel engines available – but I drove the top of the range 2.2-litre diesel, which pumps out a healthy 170 horsepower. A Sport version is available, but even the Premium trim model tested comes with paddle shifters and a Sport setting if you prefer a more involving drive. But the Q30 is really more about comfort so when it comes to changing gear, most will let the smooth-shifting double-clutch automatic take the strain. Peak torque of 350Nm also plays its part in making your progress almost effortless, but if you choose to fully exploit the Q30’s performance potential, then the engine does get a bit ‘shouty’ as you zip from 0-62 in 8.5 seconds on your way to a flat out maximum of 134mph - where limits allow. A lighter touch, however, will be kinder to your ears – and also to your pocket as the compact Infiniti will return 57.6mpg on the combined cycle with usefully low CO2 emissions of 127g/km. 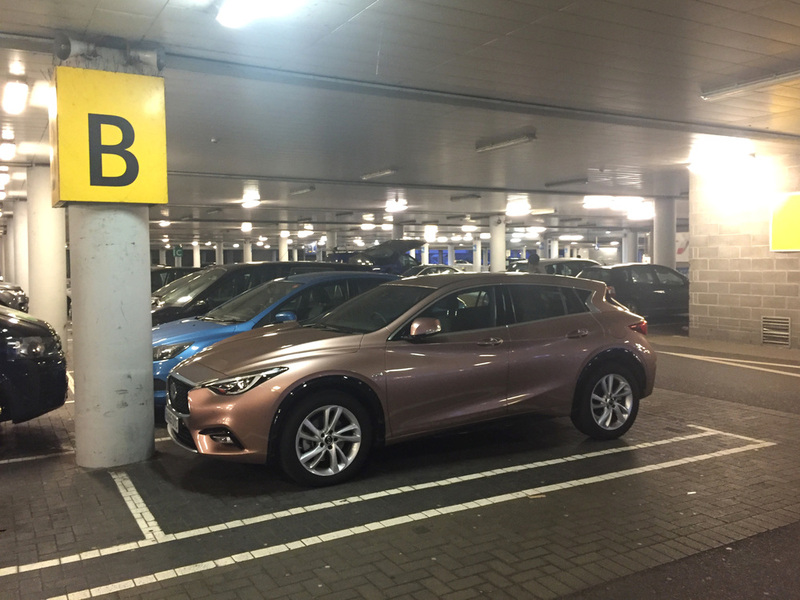 On the practical front, the Q30's raised stance makes it easier to get in and out and there's plenty of cabin room for passengers both up front and in the rear, backed up by a useful 430-litre boot, which ranks up there among the best in its class. In these days of push button starters, it’s common to have to shove your key into a cupholder in the centre console, but not so with the Q30, which has a dedicated home for its key. It's called the ignition. You twist it, and the engine magically fires into life. It’s a system that has worked very well for decades. Other manufacturers, please take note. The interior design isn't as adventurous as the exterior's. The cabin's fit and finish is not quite up to Audi standards, but it still feels elegant and opulent, thanks in no small part to the abundance of high quality leather, which smells deliciously expensive. Standard equipment is generous. On the outside, our Premium trim test car comes with LED front fog lamps, body-coloured and heated door mirrors, 18-inch alloy wheels, and stylish dual chrome exhaust finishers. The list goes on an on when you get to the interior but I was rather surprised to find the sat-nav to be an optional extra on a car costing over £31,000. So what’s holding the Infiniti back? Not much at all, in my eyes. I found little to gripe about other than a mild occasional creak coming from the top of the driver’s door trim – the kind of thing that a dealer can solve in a trice. It’s a very capable car but will buyers choose it ahead of an A3, a 1 Series or an A-Class? Well, from a design perspective alone, it makes the competition look positively dull, so for those who want to stand out in the company car park and show the world that they’re independent thinkers, then this compact Infiniti could be just the ticket.